LeVar Burton: "There's no voice for children today." – AiPT! LeVar Burton: "There's no voice for children today." LeVar Burton talks about the current state of children’s television. 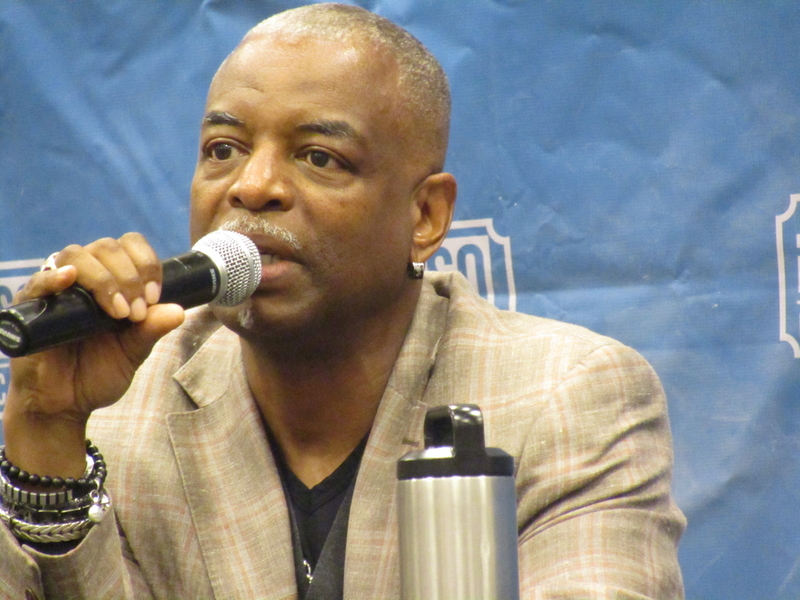 Building off of last year’s event which brought Jonathan Frakes, Marina Sirtis, and Brent Spiner, this year’s El Paso Comic Con invited LeVar Burton as a featured guest. Burton is an icon across many generations. To some. Burton is most famous for his role as Geordi La Forge on Star Trek: The Next Generation. To others he is a champion for children television. Burton began hosting Reading Rainbow in the early 1980s. The panel featuring Burton had many questions regarding his stint on TNG. This was no surprise as Star Trek fans are known for being some of the most passionate. What was a little surprising was there may have been even more questions about Reading Rainbow. In a Q & A session filled with interesting answers, the most interesting may have been when Burton spoke about the state of children’s television. Burton looked back fondly on 80’s children television. He talked about how there are not “voices talking to kids” He went on to talk about how all the voices on YouTube do not seem to be positive and supportive. He also mentioned how they may even be destructive. Burton then talked about how his old neighbors were YouTubers and he was not impressed. AiPT! will be covering the 2019 El Paso Comic Con all weekend.